I've been on the hunt for bamboo tubes used in our GlamTribal jewelry and this gorgeous image from Tanzania's Selous Safari Company is causing me to have a eureka moment! I'm probably finding them to be so scarce because larger bamboo tubes are now being used as straws. One of the core values and main objectives of Selous Safari Company is its commitment to have minimal impact on the environment. Long before it was mainstream practice, SSC stopped using plastic bags, started using solar power, set out to recycle all their "taka taka" (Swahili word for garbage) and ceased using plastic bottles. 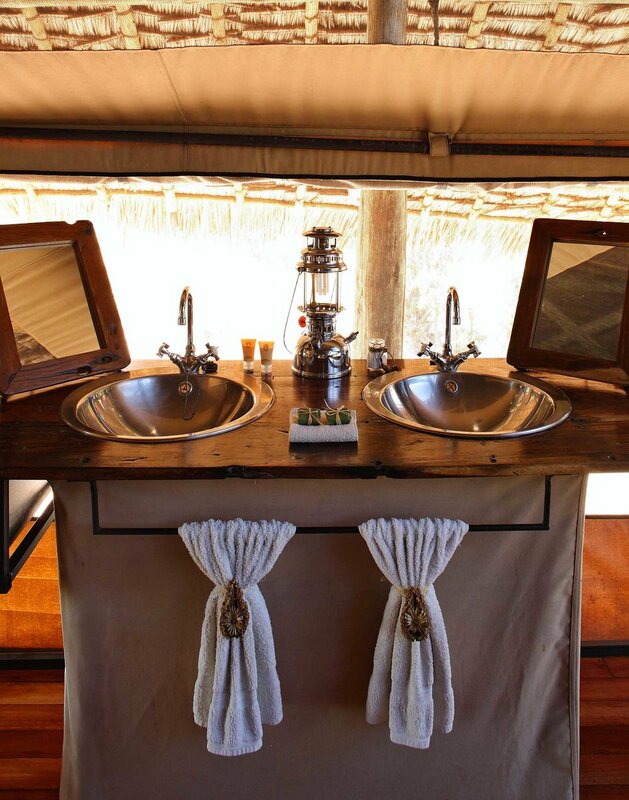 Selous Safari Company also stopped using plastic straws… without a firm plan for their replacement. A bit of creative meditation, most likely accompanied by a delicious cocktail or two on their magnificent beach, produced the answer: Bamboo straws! And NOT delivered by Amazon. REAL, AUTHENTIC bamboo straws. SSC's beach lodge, Ras Kutani, on the Swahili Coast has plenty of bamboo, and the creative minds went into high gear. Read their blog post for further instructions. Here in America, GlamTribal will order our own bamboo straws, treat them with only eco-friendly varnish, perhaps even decoupage them. Who knows what ideas will be inspired by the bamboo straws created by Tanzania's Selous Safari Company!